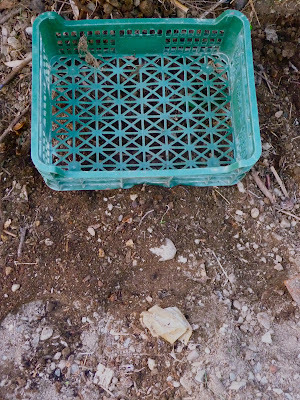 Post-materialism in the hothouse: Make your own . . .earth! Make your own . . .earth! I made a huge pile of weeds in this spot two years ago as I didn't have the energy for another tip run and it was too wet for a bonfire. When I took a more recent layer of weeds away I discovered, not a lost mosaic or the skeleton of a previous gardener, but . . .lovely loamy soil, really GOOD stuff. 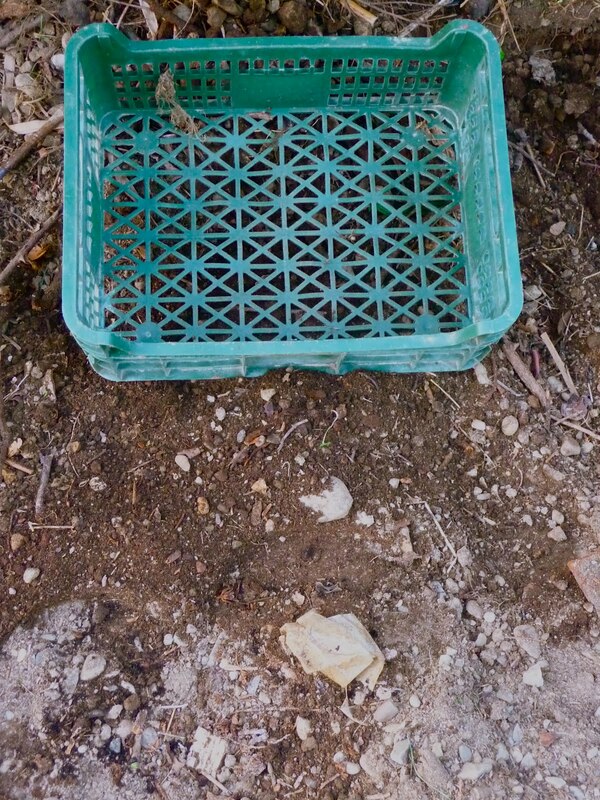 This my Post mat stone sifter, which I think was a bottle carrier in its previous existence: we have a circular, smaller holed one somewhere, which will no doubt come to light after a garden clear up.